Jae Man Joo born and raised in Kwang-Ju, Korea and Graduated Dankook University. In 1996, He Received The Best Individual Artist Award From The Bagnolet International Dance Festival In Paris, France. In 2009 He Received The Princess Grace Award For excellence In choreography in America. He Was A Principal Dancer At Ballet Hispanico and Complexions Contemporary Ballet. Also has Worked With Shen Wei, Zvi Gotheiner, Igal Perry, Jessica Lang. And Past 19 years He Worked With Complexions Contemporary Ballet Served as the Associate Artistic Director, a Ballet Master, a Resident Choreographer. He created many ballets for Complexions and All works premiered at one and only The Joyce theater, New York City. “Tears” (Rachmaninoff) in 2007, “Surface” (Debussy) in 2008, “Atmosphere”(Bach) in 2009, ”Flight" (Bach) in 2012 , ”Recur"(Richter, Silvestrov) in 2013. “Goodnight” (Arvo Pärt) in 2017. Jae Man Joo Created work "Beautiful Imperfection" (Nyman) Commissioned By Marymount Manhattan College Dance in 2015 . And the same year he created "Into The Light” (Vivaldi) for Alvin Ailey/ Fordham BFA and also performed by Peridance Contemporary dance company NYC. In 2016 he created a New Work “Circular” (Denisov, Handel) for Ailey II - Alvin Ailey American Dance Theater. 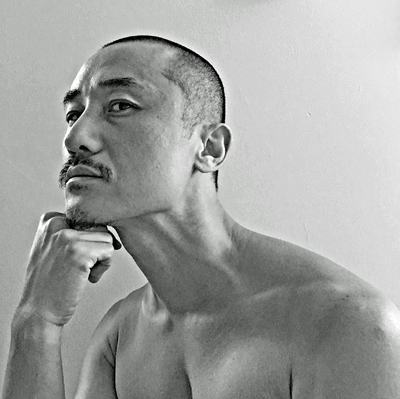 In 2017 Jae Man Joo invited to created a New work for Jacob's Pillow 85th Anniversary season and his new work "Canvas” which world premiered at the prestigious Jacob’s Pillow Inside/Out stage. His Works are perform at the New York Main stages and presents in all around the globe. His technique class offers the intermediate/Advanced/ professional dancer an explorative approach to classical ballet technique that incorporates the full upper body combined with precise foot work. His approach to dance encourages the dancer to work smart and hard within the framework of traditional ballet with an emphasis on developing strength and appreciation of musicality, while they enjoy the basics of learning ballet movement. His Ballet class is recommended for CLASSICAL DANCERS who want learn the artistry of moving more freely with special attention to developing a dynamic torso. MODERN DANCERS who want to be stronger while developing more precise movement will enjoy taking class with Joo, who is a former principal dancer for a professional contemporary dance companies. He spent many years as Associate Artistic Director of Complexions Contemporary Ballet and Received the prestigious Princess Grace Choreography Award. JAEMANJOO DANCE from jaemanjoo on Vimeo.